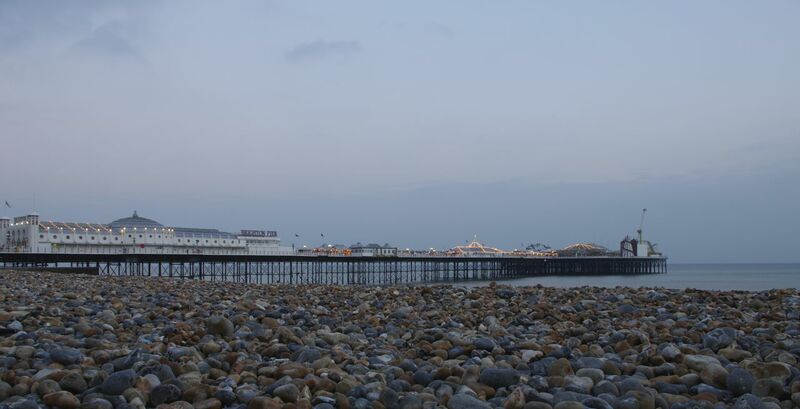 The beach at Brighton was deserted in the twilight of Monday as I combined a musical evening with the hope of a bit of urban birding. Sadly my feathered quarry, the winter flocks of starlings that roost on Brighton Pier after performing a spectacular aerial ballet, were nowhere to be found, having likely dispersed to their breeding grounds inland. I guess like the rest of us they assume that spring must surely break through the cold of winter soon. No worries though. The pier provided a diverting photographic subject and the music was fabulous.